Here is a recipe for making your own pie crust. However, you can purchase a ready made frozen pie crust from the store. Cut in Tenderflake lard with pastry blender or 2 knives until mixture resembles course oatmeal. Gradually stir water into Tenderflake mixture. Gather into a ball and divide into 6 portions. If desired, wrap unused portions and refrigerate or freeze. Roll out each portion on lightly floured surface. If dough is sticking, chill 1 to 2 hours. Transfer dough to pie plate. Trim and flute shells or crusts and bake according to your recipe. Mix sugar, salt, cornstarch, tapioca, and cherries together. Add cherry mixture to pie shell and cover with top crust. Bake at 450 degrees for 10 minutes. Then reduce heat to 350 degrees for 25 minutes. Note: Tart cherries are the best for this recipe. 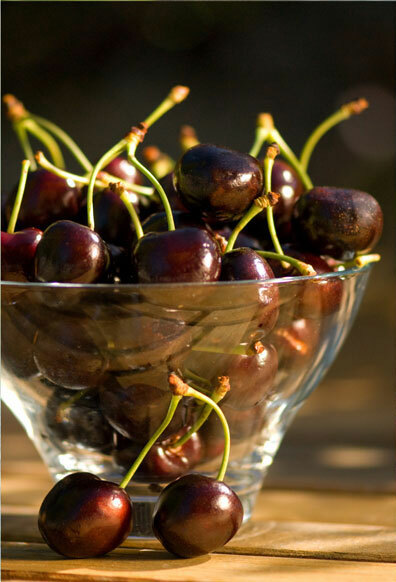 However if using sweet cherries reduce amount of sugar to 1 cup instead of 1 1/4 cup.